Is the lack of sunshine turning you cranky? Are you planning a vacation to prevent the blue Christmas? If you are nodding your head in agreement, then you must read our post! It’s August already, and before you realize, Christmas will be knocking your door. Spending the Christmas and New Year with family and close ones is one of the traditions. But those residing in the northern side always look for alternatives to escape the hard winter. Keeping huddled around the fire or snuggling in the blanket is not the fun way to spend Christmas. Fortunately, a huge part of the world experiences tropical and sunny weather during Christmas. So you can head to any of these places to enjoy your Christmas holidays. Here are top ten places where you can revitalize your festive spirit. Check them out below. Goa is a small state in the southern India. It is a renowned hippie hangout for Europeans. 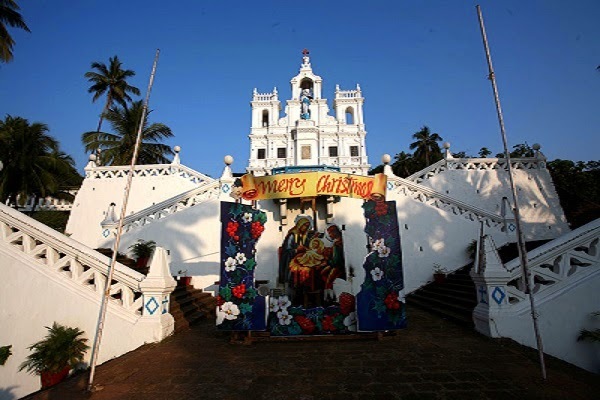 The Portuguese influences in the seaside India, the bells, firecrackers and carol singers will make your vacation look like a scene from a Bollywood film. The Fort Aguada Beach Resort is the best place to stay here. It is built on the remains of the 16th-century Portuguese fortress. The Goan food and jazz music festival are the best attractions here. Feast at Casa Portuguese for your holiday dinner. They serve spectacular food. If you want to tour around, then take a quick flight to Mumbai or Chennai. The weather is warm, and the tourist attractions are worth visiting. What better way to celebrate Christmas than with kangaroos and koalas instead of snowmen and reindeer. 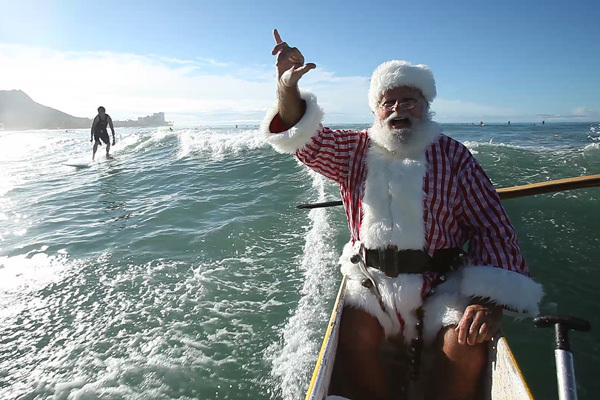 Australia is totally immersed in the heat of summer during Christmas. It experiences 30 degrees during December, which is no less than a miracle for people who are used to white Christmas. 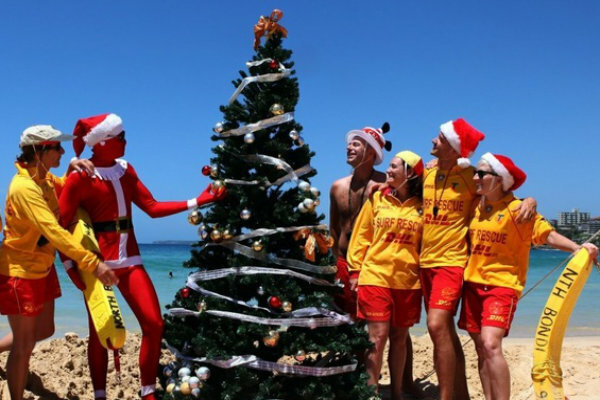 Australia is not very traditional when it comes to Christmas. It is more laid back than the European countries, and that’s what sets it apart. Spend your lazy Christmas morning at the beach or savor an Aussie picnic or barbecue. Australia is something we highly recommend. Dubai has now become a booming holiday destination with excellent beaches and bus airport. It may not appeal to people who are looking for a traditional Christmas, but it has a vibe that very few warm destinations can match. 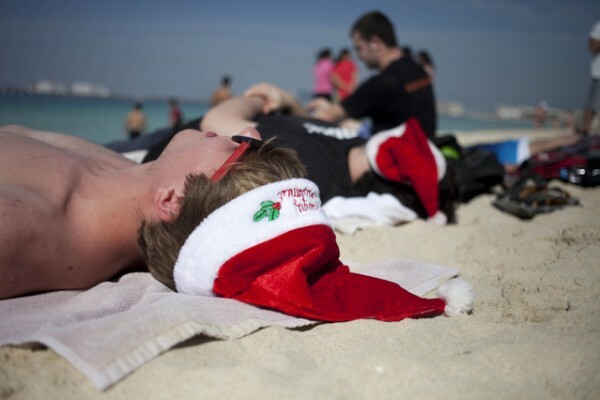 Winter lasts just for six weeks in Dubai, and it is mostly warm during Christmas. Dubai is a shopping paradise. 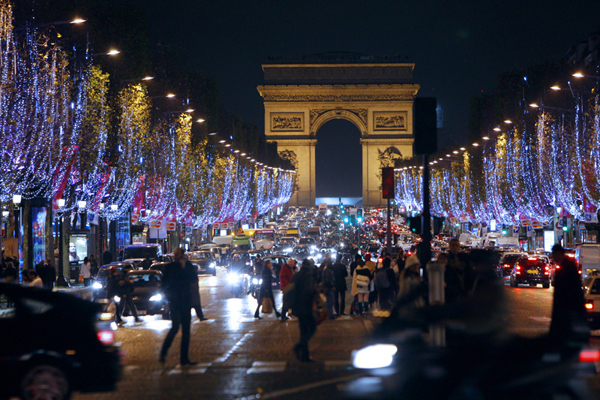 It is the second most popular shopping destinations in the world after the United States. And it has something for people of every taste and budget. And to relax after a day of retail therapy, pamper yourself in a spa or by the pool. But the hotels of Dubai are quite expensive at this time of the year. So keep yourself well prepared. Come Christmas, Cape Town will be basking in the bloom of summer. Cape Town in South Africa has a rare distinction of being a resort city. It has immaculate beaches and rural hinterland with grazing zebras, giraffes, elephants and a sprawling urban center. 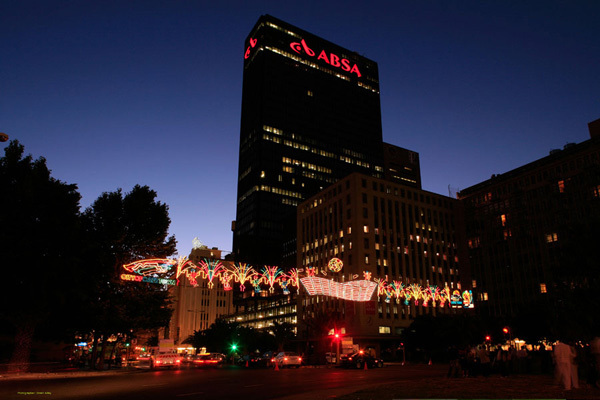 Cape Town enjoys 9 to 10 hours of sunshine during Christmas. And the temperature does not fall below 80 degrees Fahrenheit until the end of March. Also, Cape Town is cheaper than Europe and North America. So you will find a good bargain here. The flights will be a bit expensive, but the overall trip will be quite affordable. Barbados is a classic Caribbean destination. It has the gift of relaxation, warmth, and pure beauty. The day temperature is 86 degrees F, and water temperature is 79 degrees F. You have plenty of things to see in Barbados. You can check out the historic homes on the island, the mysterious underground caves or just relax on the beach. Besides, there are first-class restaurants and sophisticated nightlife. You must get out of the hotel room and check out the islands on the Christmas Eve. The vibe is indeed inviting. And even the decoration is done in a very unusual way. 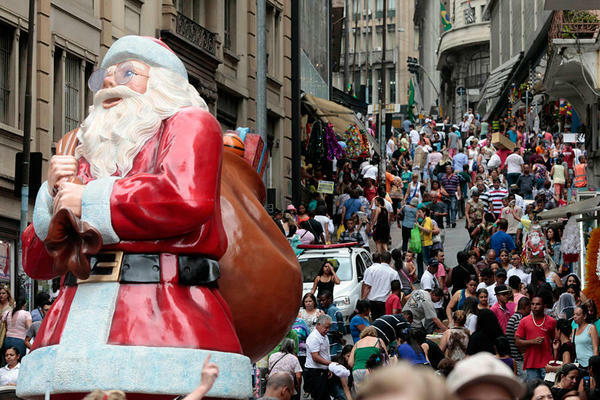 If Christmas is losing its shine at home, then a trip to Brazil can spice it up. Brazil is as inviting and warm as it is temperature during Christmas. The lively atmosphere of this place will keep your spirit bright and merry during the Christmas season. You will be awestruck seeing the vastness of Christ the Redeemer statue. Indulge in the vibrant nightlife and famous beaches in Rio de Janeiro. You can also try to visit the breathtaking Amazon rainforest here. Make sure you get an air-conditioned hotel here, as it will be muggy and warm even in the wee hours. And the hotels will also be expensive during the holiday season. So book your room NOW! 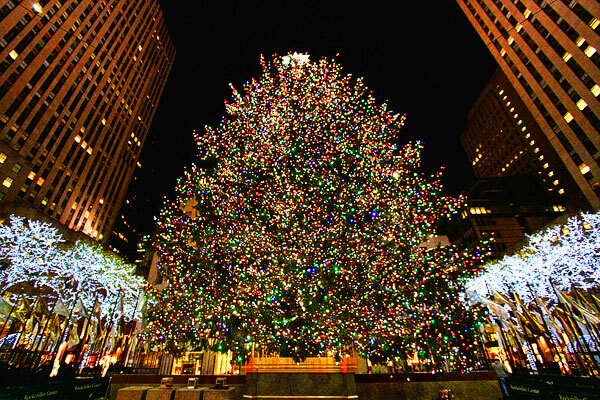 This dream destination of many becomes all the more special during Christmas. You will get the best of both the worlds during the holiday season- a 26 degree C temperature and Merry Christmas celebrations. Instead of shopping for gifts through whirling snow and bitter winds, you can comfortably exchange presents on the beach itself in your swimming suit. 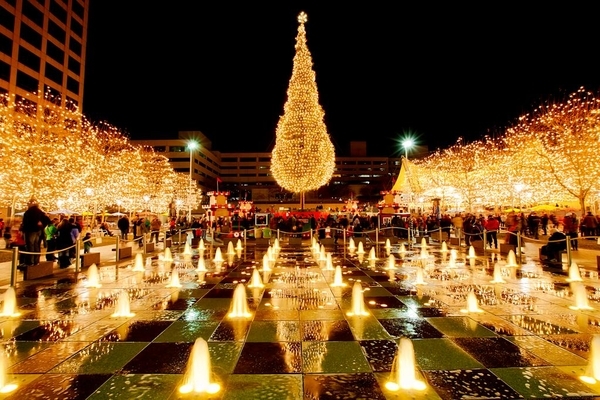 Hawaii also hosts magical tree lighting ceremonies, holiday craft fairs, and Christmas parades. You can catch these festivities with a little surfing and volcano exploring. The Waikoloa Village on the Kohala Coast of the Hawaii Big Island is a must visit place for Christmas. One of the most appealing features of California is its mild weather during Christmas. So it is a great place for people who are not looking for a white Christmas. Santa Monica is a place for people who enjoy the beach. Santa Monica Pier, a 100-year-old charming amusement park is a popular attraction here. Long Beach is another attraction here during Christmas. It is a smaller city with an unpretentious feel. The place is home to the magnificent Queen Mary, a relic from the days when steamships were one the most preferred mode of transport for wealthy people. And you can also spot gray whales as Christmas is the migration season for them. Thailand is another place to spend a cheap and warm Christmas. 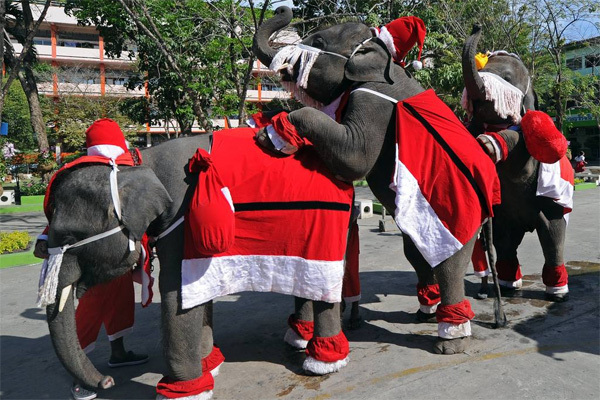 Phuket, Bangkok, and Chiang Mai are the top three Christmas destinations here. December is the ideal month to visit Bangkok. It is hot and humid almost every day, but the humidity subsides during December. So you can easily enjoy the Christmas morning and afternoon here, without getting exhausted. Chiang Mai cools off very nice during December. You got to explore the town in the evenings. And it’s cheap too. You will get a decent room at as low as 10$ in the city center. But yes, it does get crowded during Christmas, so try to book early. Phuket is very popular with Europeans at Christmas. It has more than a thousand resorts and hotels. A trip to Egypt during Christmas is a present that you will never forget. 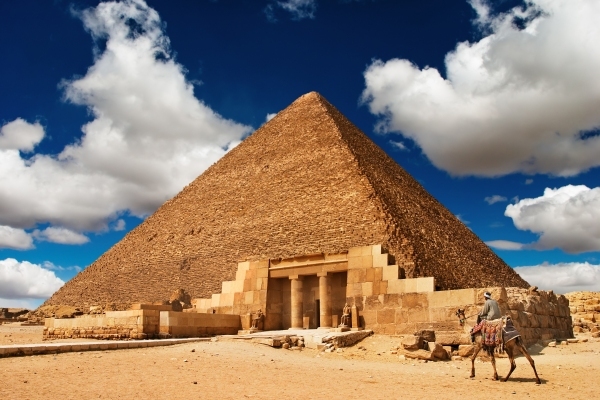 The best bet would be to see the Great Pyramids of Giza. Seeing one of the magnificent wonders of ancient Egypt will fill your heart with unexplainable joy. Instead of counting the days until Christmas, you will rather rack up the Giza sightings. 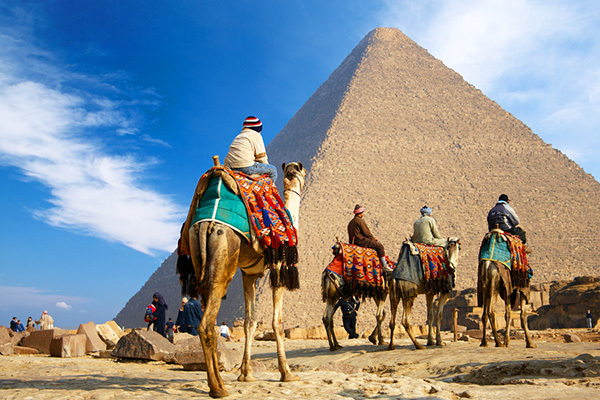 Take a camel ride from Giza to the mysterious Sphinx. And if you want to get a laid-back feel, then you can head to Sharm el-Sheikh, an all-purpose built in the resort. It is also safe from the turmoil nearby. As for the weather, the morning and noon are pretty warm while evenings are on the cold side. Pick your destination carefully to be sure about what kind of weather to expect. Most of the destinations are in Southeast Asia and Latin America, so it may take a pretty long flight to get there. The places would be crowded at this time of the year, and some hotels will also raise their tariffs. So please be well prepared. And try to book in advance for both flight and hotel.